On March 25, 2015, My Girlfriend’s Closet was awarded a grant donation by the San Diego County Employees’ Charitable Organization (CECO). 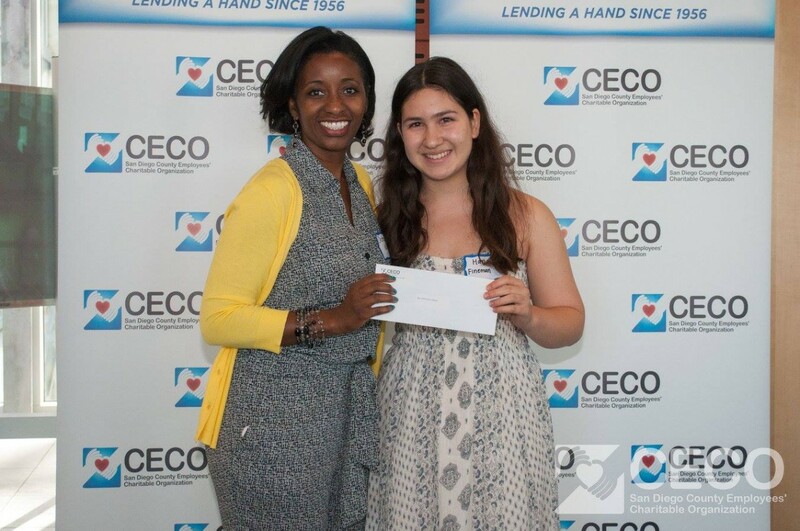 Hana Malkah Obata Fineman, Web-Manager of My Girlfriend’s Closet, attended the CECO Annual Awards Breakfast to accept their generous donation. Above is a video of the speech that Hana gave on behalf of the organization. CECO is an agency that not only commits countless hours to bettering the lives of San Diego citizens, but also supports local organizations in their own service to the community. San Diego as a whole.